Most of the time I cook by the weather clock and there is absolutely nothing consistent with the “fall/winter” temperatures so far and some nights the plan for a delicious bowl of soup or chowder gives way to something on the grill which is not a bad thing. I am not a huge soup lover, but Michael is so he is never disappointed not matter the weather. So today it was supposed to rain, but no, sunny and 70° and the subtle aroma of a Milanese style minestrone simmers on the range and a loaf of Jacob’s favorite Signature Italian Bread” from Wegmans is ready for dunking…Minestrone loosely based on Recipes from an Italian Summer which is served warm…tonight it will be hot minestrone. Finely chop the lardons with the garlic and onion. When the mixture is quite fine, add the parsley and celery and chop. Put the mixture into a saucepan, add the tomatoes, carrots, potatoes, courgettes and oil and pour in 3 ½ pints water. Season with salt and bring to the boil over a high heat. 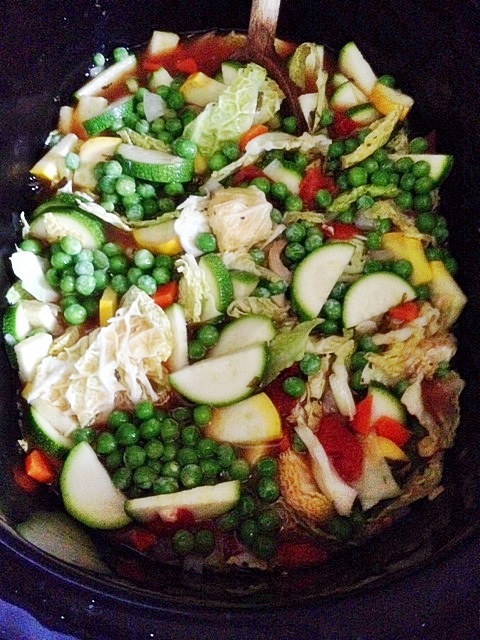 Reduce the heat and cook for at least 2 hours. Add the peas, beans and cabbage, simmer for 15 minutes, then add the rice and simmer, stirring occasionally, for a further 18 minutes until it is tender. 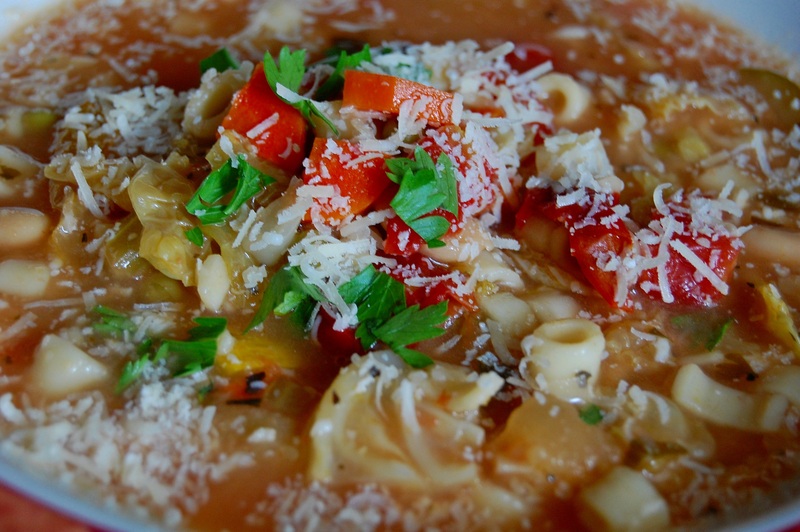 Stir in the herbs, ladle into a soup tureen and serve with plenty of Parmesan. This minestrone should be fairly thick. It is excellent hot, but it is also good served warm or cold in the summer. 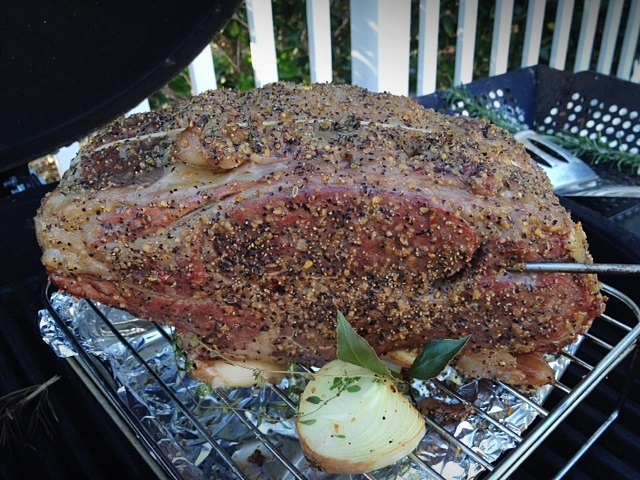 Last weekend I had a beautiful two-bone rib roast to share with friends and since it was 75° the grill was the perfect cooking option for the roast and any side dishes that I wanted to make. No complicated instructions on the tied roast, a copious amount of Montreal Steak Seasoning over the entire roast and a constant low and slow heat (under 300°) for the 2-2-1/2 hour roasting time. I had a mix of wood chips, probably, oak and pecan and not sure about the other, but whatever was left in the bin. Roasted over indirect heat to a temperature of 125° and a quick sear over direct heat to get a consistent crispness on the top fat. Rest the roast until the temperature reaches 135° and slice…Great sides of roasted asparagus and seasoned red potatoes. 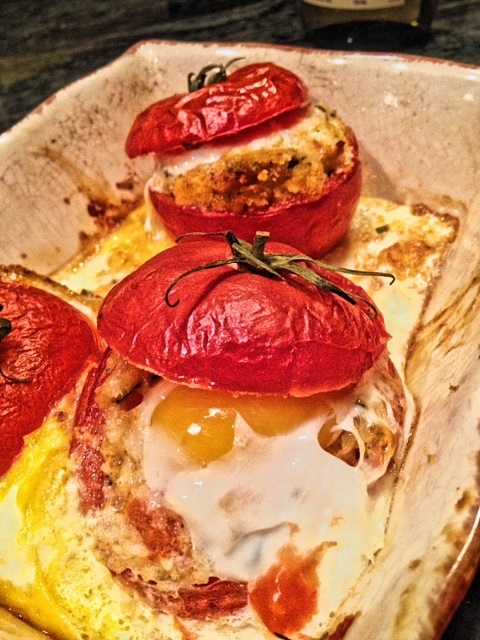 Second day, roast beef hash and stuffed baked tomatoes with eggs.